Our bodies are exposed to stress all day long. When this stress builds up, it can cause dysfunction in the body. To prevent your health from breaking down, Velocity Wellness Center can keep you moving so that you can enjoy the lifestyle you want. Whether you are looking for fast pain relief or long-term wellness care, Dr. Scott Carlton can help you reach your goals through natural, safe and effective care. Even if you’ve had health challenges for years, we’re here for you. We offer FREE consultations, same day appointments, have convenient evening & weekend hours and employ a variety of natural techniques to get you out of pain fast. 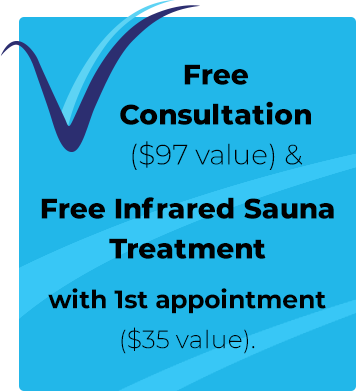 We even give you a FREE infared sauna session with your first appointment! We can see you today – Call (949) 679-7676 or book an appointment online now!